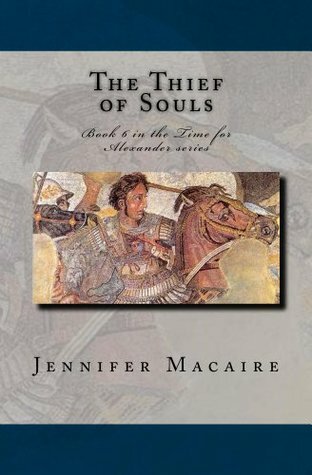 Can you face the consequences of cheating the Fates? 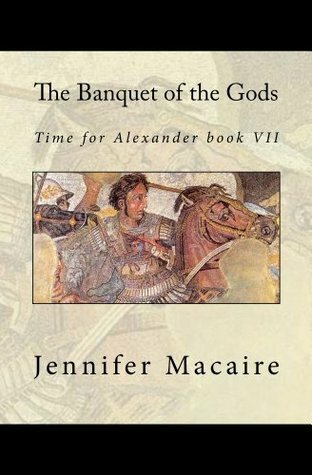 Alexander the Great journeys to India, where he and Ashley are welcomed with feasts and treachery. 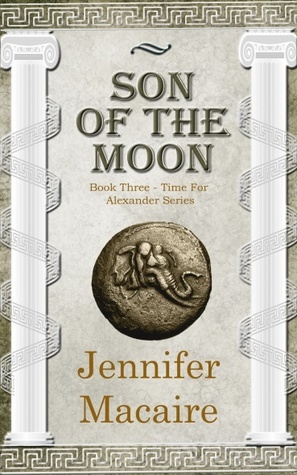 With their son, Paul, being worshiped as the Son of the Moon, and Alexander’s looming death, Ashley considers the unthinkable: how to save them and whether she dares to cheat Fate? 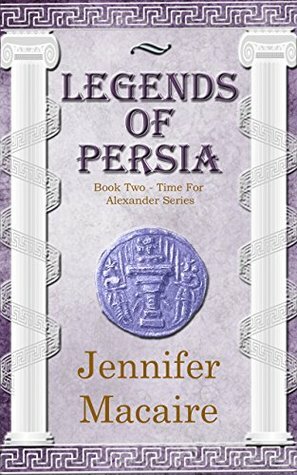 Alexander presses on to India, where he and Ashley are welcomed with feasts - and treachery. 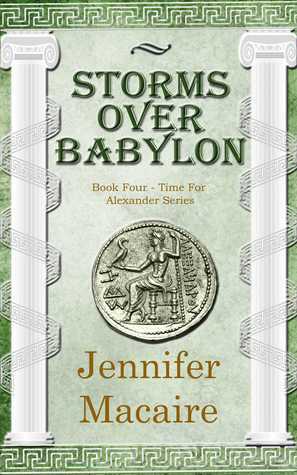 They struggle through monsoons, face the might of Porus’s army, and outwit deadly Brahmin rebels. 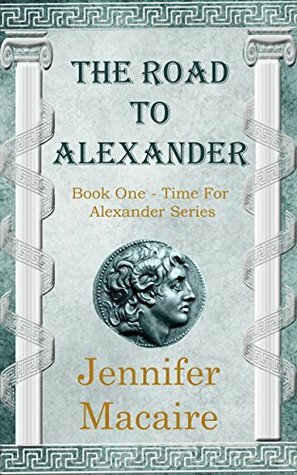 Facing the reality of Alexander’s looming death, Ashley considers the unthinkable - How to save him, and the consequences of cheating the Fates. 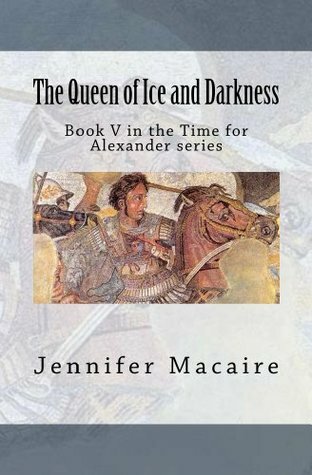 Book III in the Time for Alexander series"
The last house in the village stood by itself in the midst of a large garden. Wind chimes jingled softly in the night breeze. A cuckoo called. The door opened and a woman beckoned me. I couldn’t stop shaking. Inside, lamps were lit. Yellow light danced around the walls. On the floor lay richly colored rugs and soft cushions. A low table was set with a warm meal. Light glittered off the brass brazier and the copper bowls. However, there was nobody in the room. The man clapped his hands and a woman entered the room. She led a little boy by the hand. I dropped to my knees. The boy stood and stared at me gravely. He was four and a half years old, tall, sturdy, with long, magnificent eyes in a triangular face. He had a proud nose and a wide forehead. His blond hair curled softly and lifted off the back of his neck and temples. He stood perfectly still. I hardly saw him breathe. But a pulse beat in the base of his throat. A pulse I knew so well. I stretched my arms out to him, my vision blurring with tears. “Come, Paul,” I said in English. He came into my arms, laying his head gently on my shoulder. His small arms crept around my neck. I held him. I just held him. I hardly dared to breathe. It was akin to seeing a ghost. I stood up and swung Paul into my arms, holding him on my hip. For a minute I had only one urge, to leave, to take my child and leave. You're very welcome Mrs. Macarie and thank you!